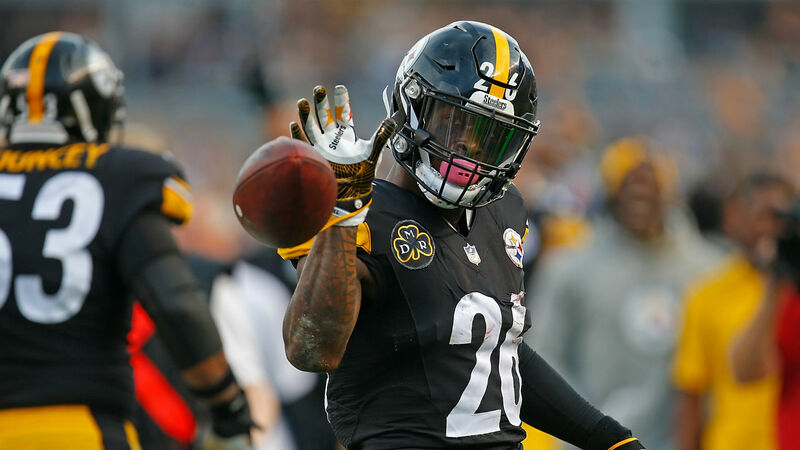 Everybody expected Le’Veon Bell to show up in Pittsburgh this week, sign his one-year franchise tender and suit up for the Steelers against the Browns on Sunday. But Bell apparently has had a change of heart and will not play this season … at least not yet. This is an odd situation that requires a brief explanation. Why might the running back look to skip the season, and why can’t the Steelers do much about it? At this point, there are only three things the Steelers can do with Bell’s tender. The first is to rescind it. Rescinding Bell’s tag would immediately make him a free agent and allow him to sign with any team. This is highly unlikely, though. The Steelers don’t want to see Bell lining up for the Bengals or Patriots. And, because the team feels it made Bell a strong offer, Pittsburgh probably does not want to afford Bell such freedom. The second option: The Steelers could place a no franchise designation for 2019 in Bell’s contract. The RB then could find comfort in knowing he would be free next year. But with the cost of the franchise tag being so high (in excess of $23 million) next year, for Pittsburgh, this would just be a paper stamp. For Bell, it’s not worth the loss of weekly salaries this year. The final option for the Steelers is to give Bell a raise for 2018. While they can’t extend the RB, they are allowed to negotiate a different one-year contract with him. Rams RB Todd Gurley will earn in excess of $20 million this year — perhaps that is Bell’s goal. But, again, the Steelers have little reason to do it. The ball is basically in Bell’s court as to when and if he reports. He is tagged, but he is not under contract because he has not signed the tender. The Steelers can’t fine him or discipline him in any way for remaining away from the team. Bell does forfeit $855,529 for each game his misses this year, which is a significant number. If he does not report by week 11, he will be barred from playing in the NFL this season. The Steelers’ only option, then, is to tag Bell again next season. But with the cost so high, they won’t. That probably sheds some light on what Bell is looking to gain: protection for himself. Running back is different than almost all other positions in the NFL. Veteran RBs are more or less looked down upon when they reach free agency. They’re dinged for a number of reasons — age, injuries, usage levels, etc. — and scrutinized more than other players. While salaries have skyrocketed for other positions, running backs have been flat, with the market peaking at just more than $8 million over the last few years before Gurley signed his $14 million-per-year contract. Bell is a rare workhorse back. He has an injury history and a good deal of wear-and-tear on his body. He might have decided a year of more than 400 touches and the threat of another injury will seriously diminish his value. The money in free agency (if he can land a deal like Gurley’s) is too much to risk. In terms of new money, Gurley received $33 million in injury guarantees and $37 million over his first two new contract years. It’s fair to assume Bell’s worth could be $40 million over two seasons. If Bell were to play this year for $14.5 million, he would need to earn at least $25.5 million between 2019 and 2020 to reach the same $40 million in earnings. No other running back earns that much over two years, so anything that drops Bell’s status to “normal player” territory could cost him money. Whether Bell is making the right decision by holding out is hard to say. It’s possible that the Gurley-money market only exists for one player. Also in play is the fact that Cardinals RB David Johnson has not received an extension to give Bell a second point of reference. In general, star running backs have not fared well in free agency. For Bell, it’s probably beneficial financially to play on the high salary this year. Bell giving up more than $850,000 per week, only to come back and play later in the season and still risk injury, makes no sense. He needs to be all in on his choice — either sit out the entire season or report ASAP and play the whole season. VIDEO: DeMar DeRozan, Serge Ibaka, Dwane Casey Ejected; Casey Wants "Equity"